One week after our conference in Amsterdam, we are now back with our weekly media roundup. From World Press Freedom Day to Guardian Activate Summit in New York, the last days have been busy for the media world. Here are the top stories you may have missed. Last Thursday was World Press Freedom Day, but in Veracruz, Mexico, the date was marked by a tragic event, as it coincided with the discovery of the bodies of two local photojournalists. Unfortunately, this isn’t an isolated incident in Mexico, where organized crime is routinely threatening the press. In 2011, 172 attacks against the Mexican press were registered, and nine of these were killings. “If you try to buy life insurance, the moment you say you’re a journalist, you’re denied,” one Mexican journalist declared. This dramatic situation led the Mexican Senate to approve legislation to protect threatened media professionals, while 100 journalists staged a protest in Mexico City yesterday, demanding an end to the murders of members of the media and to impunity. Shortly after posting impressive profits of around $1.6bn in the nine months to the end of March, the British broadcaster BSkyB announced that its 24-hour news channel Sky News would imminently expand abroad. 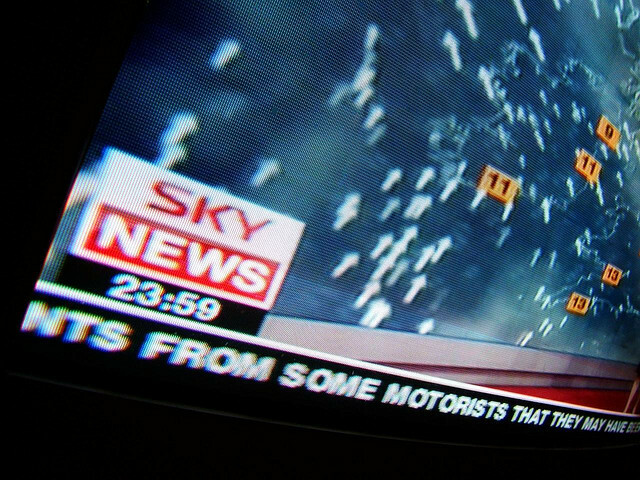 As a matter of fact, Sky News is now available in North America – a first since its UK launch in 1989. To access the service, American and Canadian viewers need to subscribe to online TV news aggregation service Livestation for $2.99 a month. As of today, Sky News is also catering to Arabic-speaking audiences 24/7 with the launch of Sky News Arabia, a 50/50 joint venture between BSkyB’s Sky News and UAE-based Abu Dhabi Media Investment Company (ADMIC). With this new Arabic media outlet, BSkyB is joining the ranks of Al Jazeera, Al Arabiya and BBC News Arabic, although it remains to be seen how it will fare against the competition. According to new figures released by the Audit Bureau of Circulations, daily circulation across 618 newspapers in the US was up 0.68% for digital and print over the last six months, while Sunday circulation was up 5%. As we reported, The New York Times saw an even larger increase in circulation over that period, with a 73% year-on-year growth. Interestingly, most of these gains are attributable to digital, and more precisely to the NYT’s popular online subscription packages. According to reports from the NY Post and Fox Business, Hulu may soon require users to enter cable and satellite credentials before allowing access to content, which means that such a subscription will be mandatory to use the service. On one hand, this view would make sense for Hulu’s owners, as the online film & TV streaming service jointly belongs to NBC, News Corp. and Disney. On the other hand, these speculations sent waves of anguish across so-called cord-cutters. After all, one of Hulu’s main assets is the fact that users may now choose to do away with their cable subscriptions, especially when connected TVs are finally starting to get traction. However, cord-cutters may simply decide to turn to Hulu’s competition, starting with Amazon. Over the last few months, the online retailer has been working on giving its Instant Video service a boost. Not only is it now available on a growing number of devices, but it will soon get original, exclusive programming. Earlier this week, the company’s content development arm Amazon Studios launched its first call for comedy and children’s TV series. Once selected, the best projects will air on Amazon’s online streaming platform. One of the undisputed highlights in the media world this week was the second edition of Guardian Activate summit in New York. The one-day conference was so rich in insight that it would be impossible to fully summarize it here, though we highly recommend you to read its Storify. The event’s line-up included high-profile media personalities such as Arianna Huffington, Alan Rusbridger and Om Malik, introduced by the well-known professor Jeff Jarvis, who is also the director of the Tow-Knight Center for Entrepreneurial Journalism at the City University of New York’s Graduate School of Journalism. As we reported, the Tow and Knight foundations have recently joined forces to fund digital journalism research at Columbia University’s Tow Center for Digital Journalism. This project will be led by Emily Bell, who left UK’s The Guardian in 2010 to join Columbia University in New York as the first director of the Tow Center for Digital Journalism, and was one of the panelists of this Activate New York summit.